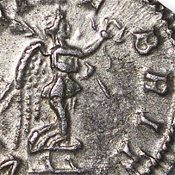 Struck to commemorate victories in Britain (Scotland). 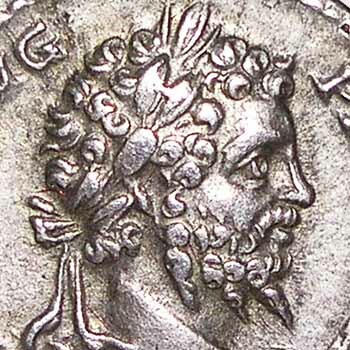 Severus began the last military campaign of his life in A.D. 208 against the tribes beyond the northern frontier in Britain (present day Scotland). 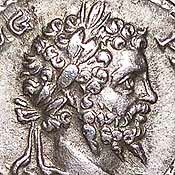 The roots for this disturbance can most likely be attributed to the depletion of the British garrison by the withdrawal of troops loyal to Clodius Albinus in the Civil War against Severus thirteen years previously. 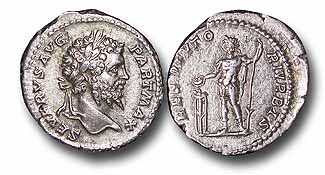 After some initial success the war proved to be fairly inclusive, Severus died at York in 211 and his son Caracalla bought peace from the enemy, before returning to Rome to begin his struggle with his brother Geta. 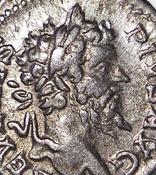 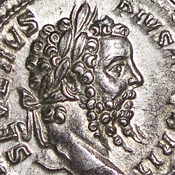 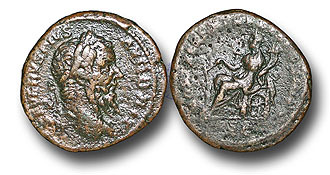 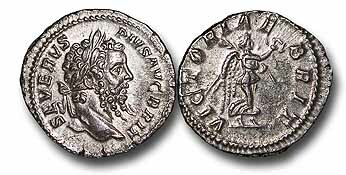 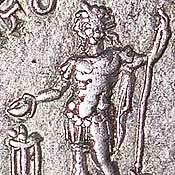 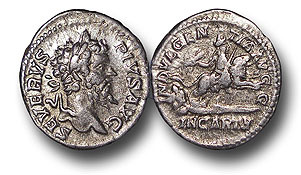 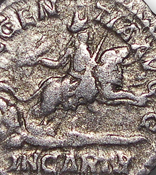 For issues of Septimius Severus commemorating his victories in Britain click below.